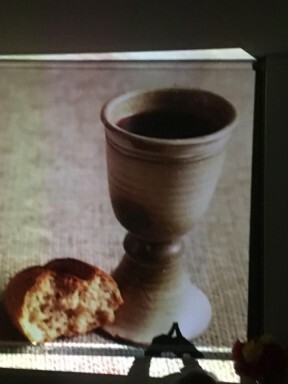 The bread and wine in the chalice represents Christ’s body and blood who died for us all. We wish a Happy Easter to you and your family and to the rest of the “familia”. The photo was of a projector image at a casual Passover meal at church to represent Jesus’ final meal as a free man; and then, there was the usual making of animal shapes in front of the projector. One young child prayed “Thank you God for my mother having me”! I would like to take the opportunity to thank all the staff that make Seymour Dental a great to place treat people and quite simply make it work. I would be lost without them. Thank you Sue, Renee, Roni, Maggy, Joy, Sherwin, Nazli, Mary, and Samia. Also I appreciate the care and assistance the dentists have made at the practice. Thanks to Dr Kim Nguyen, Dr Jason Watson, Dr Dilara Yashin and Dr Mary Hatem. It’s always a time to reflect and to be thankful for what we have. Life is too short! Have a restful weekend. Take care.